MEDIABEAK: Schumacher's wife in privacy plea - what can she expect and the law do to protect? Schumacher's wife in privacy plea - what can she expect and the law do to protect? Michael Schumacher's, or 'Schumi's' tragic ski accident has been world news for over a week now but to the extent his family may appreciate people's well-wishing, it's time to call time on 'Schumi-watch' and give his family and those treating him at the hospital in Grenoble a break from the spotlight. While his family had expressed their appreciation of the good wishes delivered by fans who assembled outside the hospital for his birthday last Friday, such appreciation can soon turn to frustration as was expressed by his wife, Corinna's plea to the media today. Having rows of press, fans and ghoulish observers encamped outside a hospital when your loved one is fighting for his life is more likely to create pressure than provide comfort. Similarly, as Corinna Schumacher expressed in her message today, it also puts pressure on those treating Schumacher inside the hospital. Having dozens of media hungrily awaiting the slightest blip of a heart monitor, increase in temperature, decrease in swelling is not helpful. As with all stories that turn into media 'events' the journalists, their editors, their readers and viewers become hungry for news and this is where the risk arises and mistakes are made. Desperate to report on something, fact or the lack of it can often turn into speculation that fuels misleading or inaccurate stories. Wake up everyone - if there were something newsworthy or which the family or medical staff wanted to tell the world then I'm sure they would provide a press release or arrange a news conference. So in absence of that it is, as Corinna Schumacher politely conveyed today time to back off and go home. Corinna Schumacher has asked the media to leave the family alone - i.e. back off and respect their privacy - but can she expect or indeed force them to do so? Here the rules of engagement in terms of the media as well as the laws that apply to them create a tension between competing issues and considerations. On the one hand there is a 45 year old man fighting for his life after a terrible ski-ing accident and his family supporting him and doctors trying to save him. On the other there is a world famous Formula 1 star who is a public figure and has, motor racing aside, become famous through media coverage and fans and public who have read stories or viewed coverage of his races and interviews etc with him. To put this in the balance there is the right to privacy attaching to Schumacher and his family versus the public interest in him and the legitimate media interest and free expression that brings with it (not just to the media but to any member of the public). To the extent there are various media (and other civil and indeed criminal, in the case of French law) laws that apply, these all allow for the competing interests to be weighed up. They also take into account how well known someone is. While not captured in any legislation there is a sliding scale that sees the right to privacy lessen the more someone has become famous by sharing or having their private life shared with the world. European law captures this through the European Convention on Human Rights (ECHR) under which Article 8 provides for a right to respect for privacy and family life while this competes with Article 10 that provides for a right to free expression. The issue with ECHR is that it is framed as a defensive right of the individual against the actions of state and as such not directed at the media itself (though the state will acquire a duty to uphold ECHR in its laws and policing of them in relation to the media). 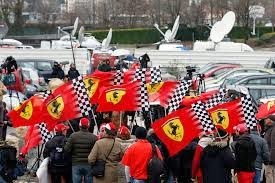 The difficulty in this case is that Schumi is a global figure and the media coverage is equally global. 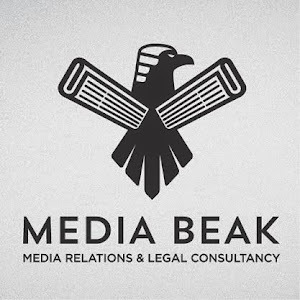 So to the extent one might persuade one sector of the media to rein in their activities (or be able to do so via the relevant domestic laws), that will not prevent other media or social media from keeping up the coverage. The excesses of the Bild Zeitung would be subject to relevant German privacy laws and ECHR. Following the European Court ruling in Hannover v Germany, there is precedent that suggests that just because someone is famous, that does not of itself allow the media to report on their private life. However German law does allow for public figures of 'absolute current interest' to be reported on without the need to attach to a specific event (so in absence of a change in Schumacher's condition there is still plenty justification for keeping the coverage going). Turning to French law that applies on the ground in Grenoble, this may have the reputation for being very pro privacy but the law attaches more directly to the person than the situation they find themselves in. French law provides both civil and criminal law protection. Under Article 9 of the Civil Code respect for privacy is guaranteed (as well as under general civil liability principles as per art 1382 of the Civil Code) and provides that everyone has a right to respect for his or her private life and also extends protection to ‘the intimacy of private life’ – a court may make an order directing whatever steps necessary to put stop to violations of that right. However there is no specific definition of ‘private life’ albeit that the courts have interpreted it to include family circumstances and state of health. However, as with German and other European laws, the law attaches more to personality and the right to control ones image than to reports about a situation someone finds themselves in. Under Article 9 a court can take necessary measures to prevent or put a stop to an invasion of privacy that is linked to an act of publication. 2. By taking, recording or transmitting, without his or her consent, the picture of a person who is in a private place." Again, while there is law there is not any specific legal provision that covers off the situation Schumacher and his family find themselves in. Undoubtedly if the media sought to get confidential information or pictures etc or physically invaded any of the Schumachers' space then these and indeed other laws might apply. The setting in terms of the hospital and his treatment are certainly private matters (as has been established in various cases such as in the UK in Campbell v Mirror). So media interest is, of itself, not something that Corinna Schumacher can stop or make go away. Media transgressing the boundaries of privacy itself is something that can be protected against but as stated above, given the global interest, this is likely to be difficult to guarantee. Legalities aside, it is to be hoped that the media and others have heard Corinna Schumacher's plea and can demonstrate good ethics as well as respect by giving the family and hospital some space. The story of his terrible accident has been told. He's not going to go away. So let's hope the media can (albeit counter-intuitive in many ways journalistically) wait for the next part of the story to come to them rather than continue to chase and trace every detail of a story, the outcome of which is for Schumacher and his medical team to work on, not the press.